This high quality, hand made, icon pack is full with 9 Extreme Grunge Social Media Garments. Each icon is in .png format with transparent backgrounds, sized at 256×256px. 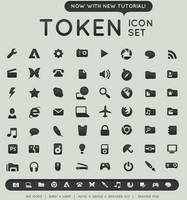 Icons are free for commercial and personal use. If you use them credit me in your description. Its like a classic color..But you made perfectly..It is very unique. I got confused, there were too many download buttons on the page. Not worth the effort despite the fact I think those icons are cool. 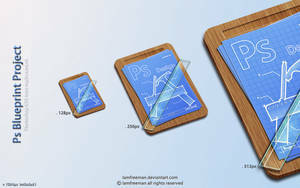 Love the icons, but being that my request is more for personal use on my Android phone, I wanted to know if you'll be providing the psd template, that way I can use my own images. Or at the very least if you would provide a tutorial. Thanks. i'm planning to use these to link to my blogs and deviant art and social networking sites on my portfolio website I have been looking for cool blog logos to use. eventually i will make my own but until then i like yours. just an aspiring graphic and web artist always looking for inspiration. my site won't be live for a while b/c i keep editing it and haven't paid for a hosting service yet. i could send you a screen shot or something if you'd like to see how they'd be used. very nice icons. Thank you! Possible to make one for battlelog? I've used them on my website/portfolio hope thats alright! I've commented in the code stating your name and a link to the icons, let me know if its cool. Would you mind adding a reverb nation icon or would you consider sharing the template? hey anychance of template or help on how i can make more? Hi colaja, i've used your grungy icons for my forum! click on the link on my signature! These are really cool. I may use them.